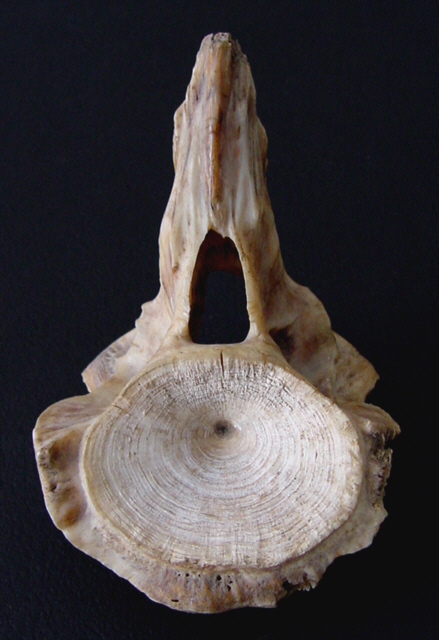 Natures Symmetry is not perfect - Vertebra from a 495 lb. fish. Vertebra from a 495 pound fish I caught in 1964. Photo taken with daylight comming through a North facing window. Interesting, well lit shot, with good balance and symmetry, as well as great negative space. While I do not find the photo tremendously appealing, I think it is a good photo. Very nice. Well balanced and interesting subject. An object like that deserves a more dramatic atmo IMHO. Challenge = met; technically you captured the object very nicely: good detail, clarity... . I only think (and this is where I'm goin' subjective on you) that it's not a very attractive nor appealing subject. Nice effort though. Proudly hosted by Sargasso Networks. Current Server Time: 04/24/2019 09:51:03 AM EDT.